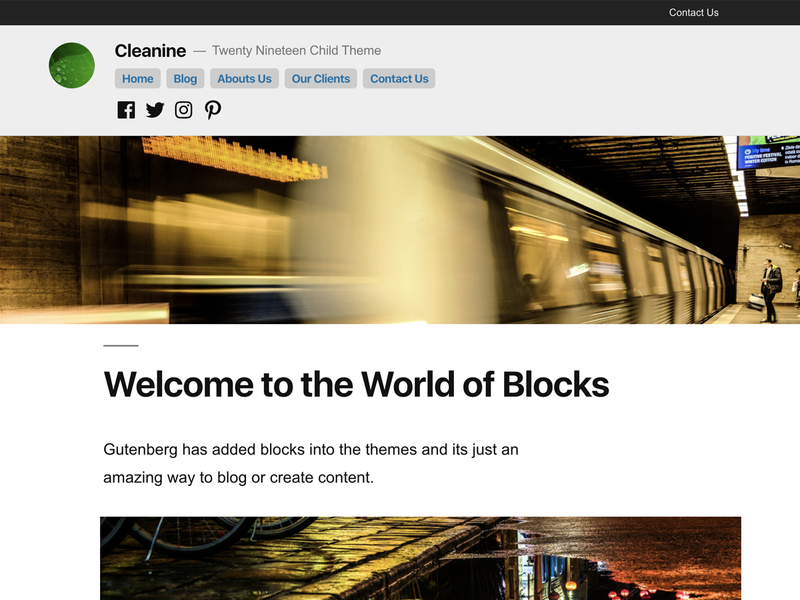 Cleanine is a child theme of the new Twenty Nineteen WordPress theme. Twenty Nineteen is a beautiful and elegant WordPress Theme. But the header and appearance of featured images on post pages was something which I could not get used to. Cleanine themes gives Twenty Nineteen a more conservative header with clearly marked boundaries on homepage and post pages. It also changes how the featured images appear. In this child theme, the featured images appear in the old fashioned way below the post title and not as a background. These distinctions make Cleanine a more suitable theme for majority of blogs and bloggers.